Interleaving examples of different species of animal can help learners to remember these new categories and to transfer this learning when trying to identify novel examples. Image: Pixabay. I thought I'd share a slightly extended version of my answer to a question about spacing and interleaving from the CogSciSci email group. The question essentially asked what spacing and interleaving might look like in practice when teaching science (I have written about these two concepts in much more detail and in ways that apply to multiple teaching subjects in my book with Marc Smith, Psychology in the Classroom). The spacing effect means that when study and re-study are separated by a delay, this benefits learning. It could involve study of anything - a lot of the evidence has focused on vocabulary, so an obvious link to science would be to use spacing for terminology. Although it's counterintuitive to think that waiting longer before restudy would be helpful, an element of forgetting actually seems to help, in comparison to following up on something more quickly. A useful analogy is to imagine painting a wall - it's better to wait, because there's no point in applying the second coat until the first one has dried. When spacing out practice, a longer gap is better than a short one; there is almost no limit to this, but for practical reasons you probably don't want to space by more than a few weeks within a typical course. Still, it's really important to point out that the information needs to be well learned in the first session, otherwise it will simply be forgotten with no benefit to spacing. The learners need to have really got it at that point. As Rawson & Dunlosky (2011) put it, "our prescriptive conclusion for students is to practice recalling concepts to an initial criterion of 3 correct recalls and then to relearn them 3 times at widely spaced intervals" (p. 283). The term interleaving refers to varying the order of a set of tasks or examples, whereby each item is immediately followed and preceded by an example of a different category/concept rather than appearing in blocks of the same type of item repeatedly (which is termed a ‘blocked’ arrangement). It could arise due to a randomisation or ‘shuffling’ of the order of items, or a more deliberate alternation of items (e.g. presenting geoscience pupils with an example of a u-shaped glacial valley, then an example of a river valley, then another glacial valley, and so on). There are two main things you can interleave - initial learning or practice. The evidence is pretty good that for practice, interleaving different types of examples is a good idea, rather than doing lots of the same type of practice problem. This has been best demonstrated for maths (e.g. Rohrer et al, 2015), though a similar idea could be applied to any subject with lots of short answer or multiple-choice questions. The key thing is to mix up lots of different types of problems/questions rather than present them categorised by type (so not, for example, giving learners a set of problems that are all about multiplying fractions). It may be that you would tend to interleave practice questions like this anyway, but it's probably quite common in classrooms to give learners lots of practice of recent material and skills, rather than interleaving these with past examples. One reason for the benefit is that interleaving seems to help learners recognise what strategy to use in later tests - the unpredictable order means it's not immediately obvious what concepts and strategies are going to be needed in order to answer the question. It therefore helps them learn to read and analyse questions. For initial learning, interleaving involves presenting different, easily confused concepts side by side, rather than several examples of the same thing being presented together, and again this has benefits compared to categorising items into a 'block' of the same type. It has relevance to any sort of concept learning, including for science subjects, although most of the research conducted so far has been done on abstract stimuli (such as shapes and patterns) rather than educational materials. Two useful studies that are directly relevant to science are Eglington & Kang (2017), who used interleaved examples of chemical molecules, and Rawson et al (2015), who gave definitions of new psychology concepts and then interleaved real world examples of the concepts. Both studies found that interleaving was advantageous compared to presenting multiple examples of the same concept. The benefit seems to derive from the interleaved order making it easier for learners to identify key differences between concepts that are easily confused, and for this reason, it's not going to be helpful if concepts are very different (because nobody would confuse them). 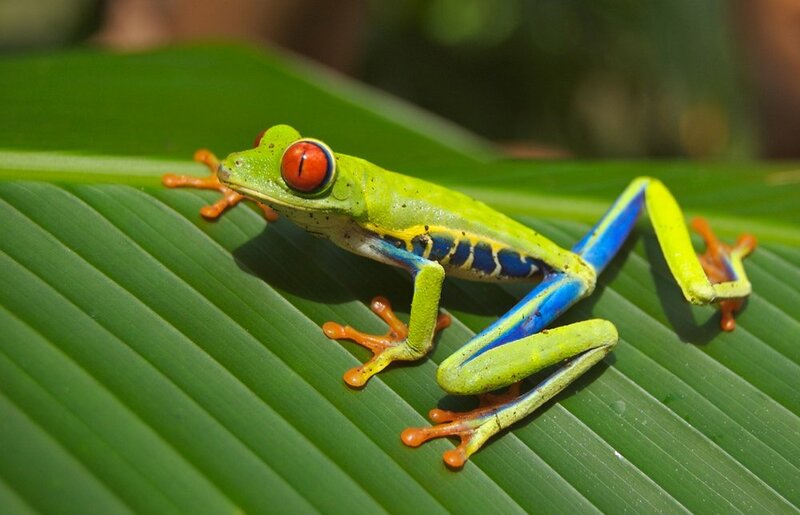 For example, nobody is going to mix up a fish with a bird, but they might confuse a reptile and an amphibian, so the latter categories might benefit from presenting learners with interleaved examples. An important point for both types of interleaving is that they don't just improve memory for previous examples, but also make learners better able to categorise new examples (i.e. they showed transfer of learning). Spacing and interleaving have implications for how teachers plan and structure lessons and topics, though they also relate to students' revision. In my next post, I'll give some advice on how these techniques can be put to use to help make revision more effective - ideal for exam season! If you are a science educator interested in applying cognitive science to your work, you can apply to join the CogSciSci email group here.